Revenite's key partner and dedicated focus is Microsoft. We believe the Microsoft Azure Data Services platform is the most comprehensive and integrated offering in the market, at prices that are extremely competitive and with access to a massive eco-system of information and documentation to help you build your understanding. With a huge investment in the Azure (Cloud) platform, Microsoft is making data warehousing, advanced analytics, machine learning and visualisations/dashboards accessible for small, medium and enterprise organisations. 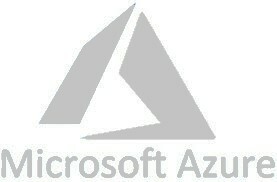 Services that enable data to be ingested into the Azure cloud platform. Services include Data Factory (Microsoft cloud version of Integration Services), Data Catalog (for publishing your data assets) and Event Hubs (for high volume transactions). Services that enable your data to be stored in the Azure cloud platform. Services include Data Lake Store (for structured and unstructured data), SQL Data Warehouse (massively parallel distributed relational database) and DocumentDB (for retrieving documents stored as JSON). A variety of services that enable advanced analytics and big data science, such as Machine Learning Studio, Data Lake Analytics (typically used in conjunction with Data Lake Store), HD Insights (Hortonworks) and Stream Analytics for real time computation on streaming data. A range of services to support your decision insights, such as Cognitive Services (a suite of intelligent APIs that work cross-platform to provide intelligent data such as facial recognition in images, voice recognition of speakers, and video stabilization), Azure BOT Service (Develop your own BOT services) and Cortana Intelligent Assistant. Now considered the leading Business Intelligence and Visualisations software suite on the market (Gartner Business Intelligence and Analytics Platforms Magic Quadrant 2017). With the shift from IT-led reporting to modern business-led analytics, Power BI enables business users to quickly and easily create dashboards, connect to a huge number of data sources and publish your reports via the cloud. Microsoft Azure Data Services comprises over 25+ key services, and they are being continually updated every month by the engineering and product teams. Let Revenite take the complexity and guesswork out of figuring out how to migrate to the Azure data and analytics platform. With our specialisation and dedicated focus on Microsoft, we can quickly and optimally align your information management needs and requirements with a modern data and analytics environment.